Claim "Sterling Bank Plc. 18, Issa Williams Street, Oke-Arin Market, Lagos Island, Lagos, Nigeria"
Have you ever been at Sterling Bank Plc ? What do you think about them? Write review today! 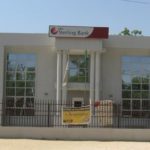 Sterling Bank Plc is a full service national commercial bank licensed by the Central Bank of Nigeria office in Oke-Arin Market, Lagos Island, Lagos, Nigeria. Our mission is to providing value added solutions through professional and high motivated people and provides excellent financial performance. Our services are individual banking and e banking, loans, deposit accounts, finance to corporates and SME’s etc.